Click the button below to add the RL Drake UV-3 144/220/440 FM Transceiver With Matching PS-3 Power Supply & 1525 EM TTP Microphone to your wish list. This RL Drake UV-3 144/220/440 FM Transceiver With Matching PS-3 Power Supply & 1525 EM TTP Microphone, is in excellent condition. This radio is a rare find and even more rare to find it with the matching power supply and microphone! This one has all three bands installed from the factory. this UV-3 Station would be an excellent addition to any RL Drake Station! I checked this transceiver briefly on the bench and it appears to be working on all three band with output and receive. I did not test it any further but it seems to be working okay. It is a vintage radio and will no doubt need some attention or alignment work. I am selling it as is as described for the family of a silent key. 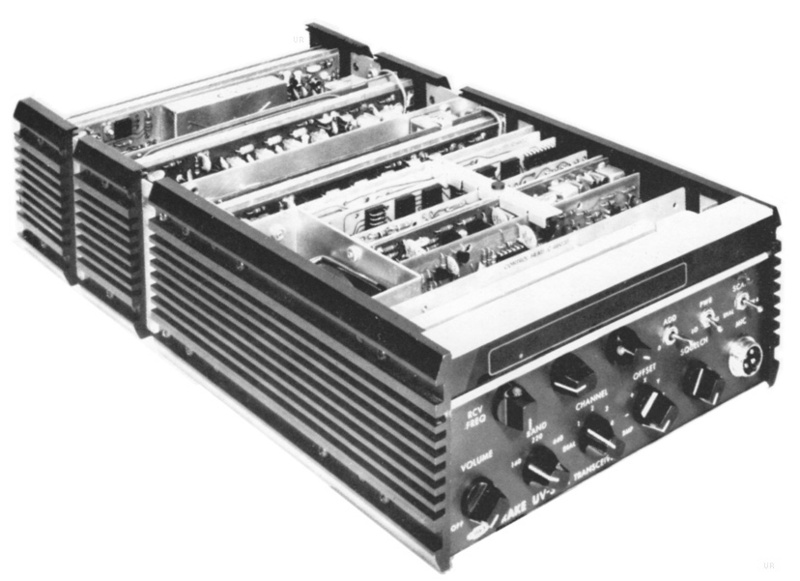 The Drake UV-3 is a versatile and expandable FM transceiver. Full FM coverage of 144 (25W), 220 (10W) and 440 (10W) amateur bands may be achieved depending on model purchased. You get your choice of one, two or three band coverage. Basic models could be purchased, with factory installed add-on modules added later. Frequency selection is via rotary switches on the front panel. There is a speaker built into the left panel of the radio. Model 1346 covered all three bands and included a standard dynamic mic and mobile mounting bracket. The basic UV3 model 1340 is shown above with optional 1525EM hand mic. Requires 11.5-15 VDC at 6 Amps. 7.0 pounds (one band), 7.6 pounds (three bands).